...and part of two nights. 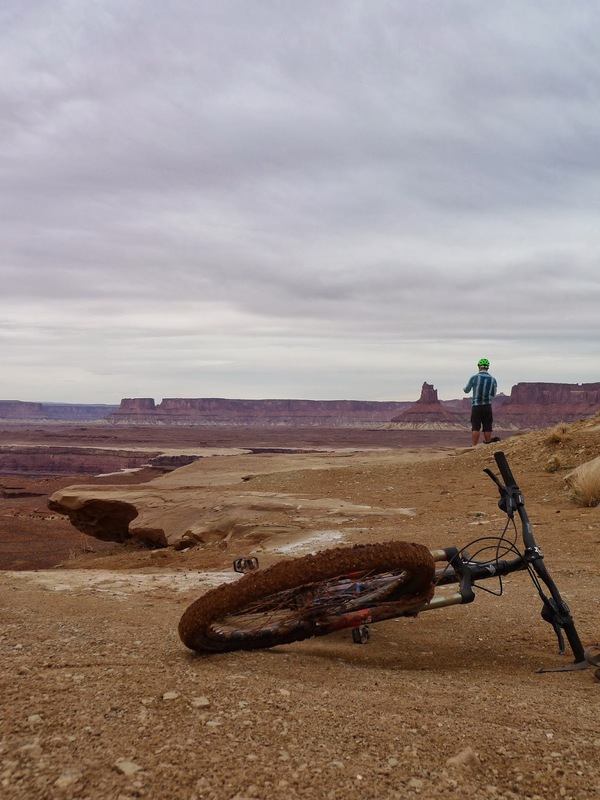 The White Rim Trail near Moab has been calling for a while. Mr. Benson rode it last Autumn in a single push inspiring me towards a similar adventure. One of my loves is random, under-prepared for, off-the-couch adventures, where I pull in someone with similar levels of under-preparedness; so this adventure included Casey, who agreed that it would be a great way to suffer for a long period on time. 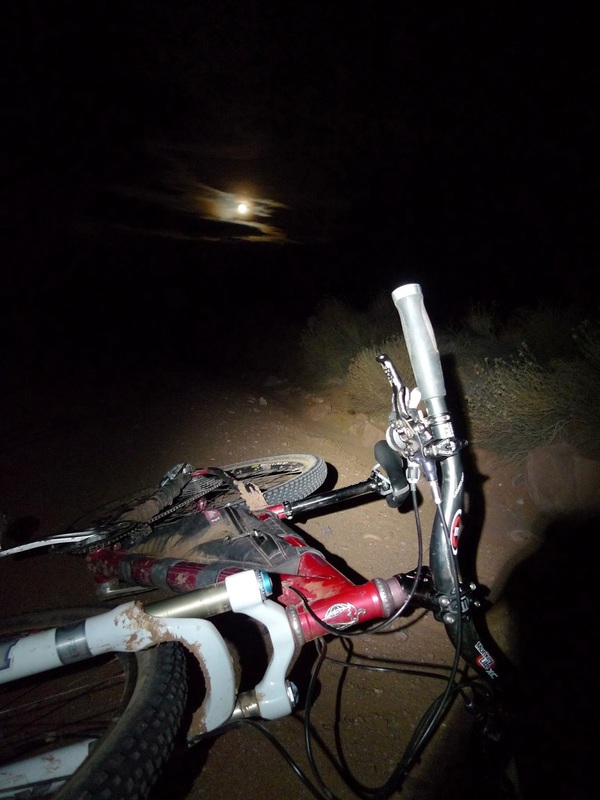 16 hours, 2 moons (one of them full), 90+ miles and about 5000 calories later we completed to route. It was awesome, and has left me itching for more R.A. (random adventures). The vistas are deep and detailed. Usually ridden over a couple of days, it would be great to go back and spend more time looking. More heavy tires; it was pretty early in the season, we saw only one other rider. Commercial groups and vehicles start heading out towards the end of March. The second moon of the trip, about 14 hours after we started. We rode anti-clockwise, so finished up the Schaffer Trail. 1200ft of pushing for both of us.